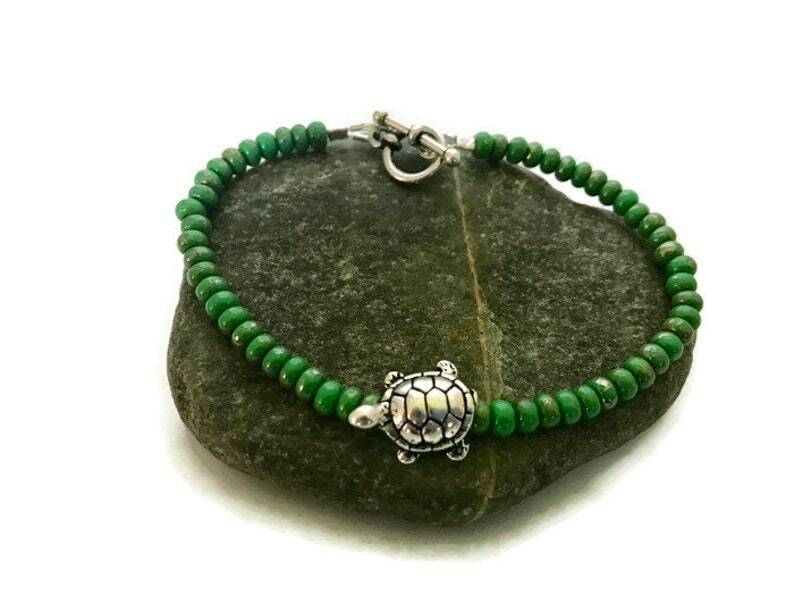 This adorable turtle bracelet is made with a silver plated turtle charm and jade green glass beads. The petite (slightly smaller than 4mm) beads are a gorgeous shade of green with a slight bronze luster. 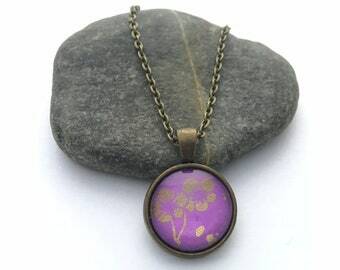 It is secured with an easy to use silver plated toggle clasp. The bracelet is available in a variety of sizes. If you do not see your size in the drop down menu, please contact me. I am happy to customize. TO MEASURE YOUR OWN WRIST, PLACE A MEASURING TAPE SNUGLY AROUND YOUR WRIST AND ADD HALF AN INCH. A great gift for the turtle lover in your life! Each bracelet comes in a pretty organza bag.